If your business is currently using Cisco Umbrella – the enterprise version of OpenDNS – WebTitan Cloud is one of the best OpenDNS competitor alternatives for web filtering in terms of price, customer support, and ease of use. Try WebTitan Cloud today for free and see for yourself. In 2015, Cisco bought OpenDNS for $635 million. The new owners maintained the free-to-use, domain-blocking Home and Family versions of OpenDNS, but extended the premium OpenDNS Umbrella version to include “Insights” and “Platform” add-on options. Many of the features originally included in the basic premium service were migrated to the add-on options, meaning businesses had to pay more for them. Cisco also increased the price of OpenDNS Umbrella in order to recover the cost of the purchase and to continue supporting the free-to-use versions of OpenDNS. Consequently, businesses using OpenDNS Umbrella for web filtering were effectively paying more than before for a lesser service, and subsidizing free users. The hunt for OpenDNS competitor alternatives was on. Performing an accurate price comparison between all OpenDNS competitor alternatives is difficult because prices change according to the number of users subscribing to a service, discounts can apply for payments in advance, and the number of features included in enterprise packages can vary between OpenDNS competitor alternatives. If you wish to perform your own price comparison against OpenDNS or any other OpenDNS competitor alternatives, WebTitan Cloud pricing is 100 percent transparent. Simply visit our pricing calculator page, enter the number of users you want to protect, you preferred deployment option and favored payment cycle, and the full support-inclusive price will be available to you immediately. Whereas a price comparison between OpenDNS competitor alternatives is difficult, a Customer Support comparison between WebTitan Cloud and Cisco Umbrella is much easier. With WebTitan Cloud you get free, focused 24/7/365 Customer Support by phone included in the price, whereas Cisco Umbrella provides “basic” clients (who are paying up to twice as much for their service) with email support. Cisco´s email response varies according to the nature of your issue. If you have a technical question or configuration issue that “moderately impacts” your ability to use Cisco Umbrella, you will get a response within a day (Monday to Friday). If you have a question about how a feature works or want to request a password reset, you have to wait up to two business days before you´ll receive an answer. Not all OpenDNS competitor alternatives use the same processes for filtering web content – resulting in some cases in users being able to access unsafe or unsavory online content. Take “safe search” for example. With WebTitan Cloud, you can enable safe search for Google and Bing with the click of a mouse. OpenDNS does not support this feature. Without safe search being activated, OpenDNS users are blocked from accessing websites hosting explicit images and videos, but not the images and videos themselves – which can still be viewed through the search engine results. This limitation of OpenDNS undermines the whole purpose of web filtering and can only be resolved by customers applying the safe search feature at router level. 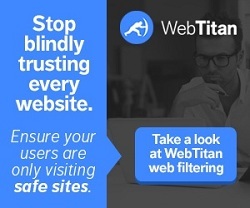 If your business is using Cisco Umbrella or any other OpenDNS competitor alternatives, you are invited to take a free trial of WebTitan Cloud or WebTitan Cloud for WiFi in order to evaluate our DNS-based web filtering solution in your own environment. Alternatively you can watch an instant live demo of WebTitan Cloud in action simply by sending us your email address.